Hailing from Pasadena, California, eclectic band Solspeak (www.solspeakmusic.com), famed for its unique blend of pop, rock, soul and flamenco, recently collected the prestigious Producer’s Choice Award for Breakthrough Artist at the 23rd Annual Los Angeles Music Awards held in Hollywood, and received other nominations. The band, which is made up of Julian SaintJon (lead guitar/composer), Vincent Madrid (lead vocalist/lyricist), rhythm guitar/vocalist Drew Respicio, percussionist “Q” Quintana, drummer/percussionist Matt Herrera and bass guitar Olivier Prud’Homme, are all well-seasoned GRAMMY voting member musicians from all over Los Angeles and Holland. Their music is often described as ‘cinematic’ and they are always evolving, refining and perfecting their fascinating new sound with song lyrics and vocal melodies to bring positive, uplifting music to new international markets. Band member and co-founder Julian SaintJon was also nominated at the 2013 LA Music Awards for ‘Guitarist of the Year’ and Solspeak’s song ‘Million Miles Away’ nominated for ‘Song of the Year’. Solspeak, who has been able to forge a new hybrid that, to date, has defied classification recently received a staggering 94% vote to ‘stay’ on the ‘Heidi and Frank Show’ on the hit radio station 95.5 KLOS for their songs ‘Million Miles Away’ and ‘Beautiful and Bittersweet’, both available to buy at http://solspeakmusic.com/buy-music and www.reverbnation.com/soulspeak. 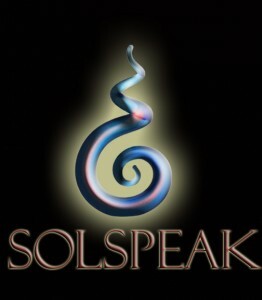 With over 200 stage performances on the famed ‘Sunset Strip’ to county fairs and festivals, fundraisers and benefits from LA to Sweden, Solspeak prides themselves on using their music to bring joy to their audience and raise the awareness that we are all connected, to each other and to the planet. The band is also very involved with several charities raising money, education and awareness for the American Cancer Society and various Fire Department community events.